Debt Management Options: Get Active! It starts with the letters. Then the phone calls. And next, the knock at your door. If you’ve been feeling the panic shared by many others who are in a desperate situation, you want help, and you want it fast. While the debt collectors aren’t going anywhere, you might have a few options available to you that can help get them off your back. The first step to getting rid of debt collectors is to consider all of the debt management options available to you, and then to take action. When it comes to your options, look into improving your money management practices, going through debt consolidation and negotiation, and filing for bankruptcy. The sooner you start, the better. No matter what your situation is, improving your money management practices now is essential. Reducing your expenditures and reeling in your spending habits can provide you with more cash to tackle those debts! Next, depending on how bad your situation is, you may wish to begin the process of debt consolidation and debt negotiation. Talk to your debt holders. Demonstrating good faith can take you a long way. Your debt holders may have some available options when you ask what can be done about your situation. Thirdly, bankruptcy might be the best way out for you. It isn’t easy, but filing for bankruptcy can give you the chance to start over again. 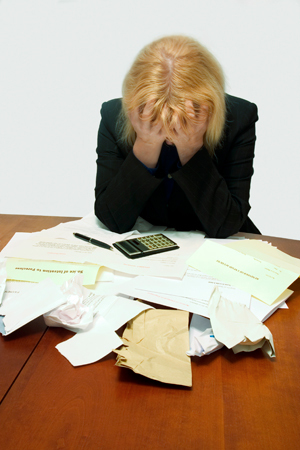 Bankruptcy exists as a sanctuary for those bearing impossibly difficult financial hardships. You may qualify for the bankruptcy process!